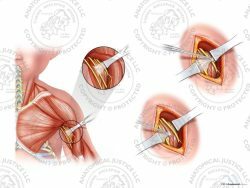 This exhibit features four illustrated arthroscopic steps to repair a series of left shoulder injuries. This exhibit is a continuation of part one in the series. Mattress sutures are placed through the tendon using a SmartStitch deployment device. 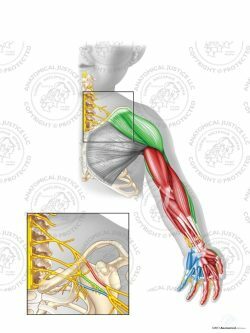 The platelet-rich fibrin matrix (PRFM) implant is then secured between the tendon and bone. 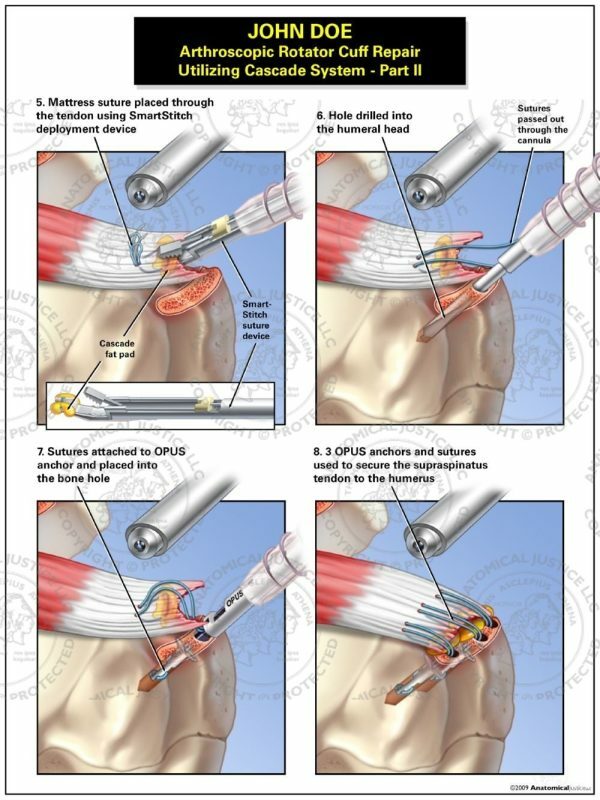 Holes are drilled into the humeral head, and sutures are attached to the OPUS anchor. The anchors are then placed into the bone holes. 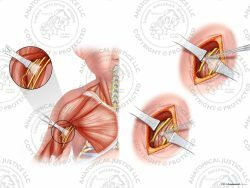 Three OPUS anchors secure the supraspinatus tendon to the humerus to complete the surgical construct.